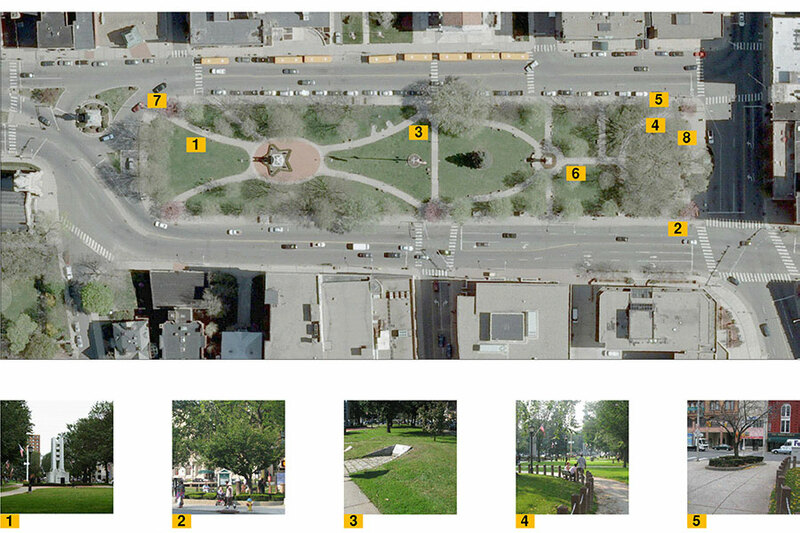 All of the monuments on the existing Green mark distinct periods in time. An important function of the Green is to accommodate large crowds for Veterans’ and commemorative ceremonies so a commemorative space was created, consolidating all war memorials in one location. The trees and vegetation on the Green not only provide visual relief from the hard surfaces of the city but also clean the air around the Green, providing a healthier environment for residents. 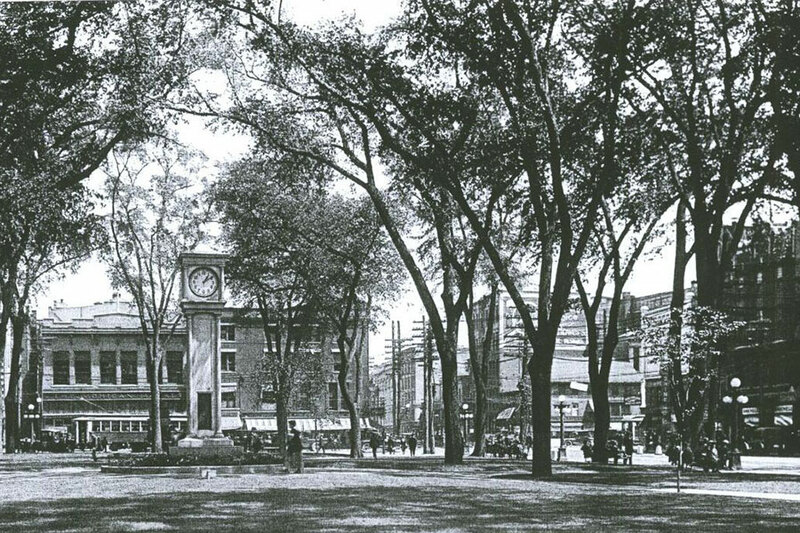 The master plan recommended restoration of the historic double allee of trees on the east-west axis. The Green attracts many people who spend part of their day socializing there. Due to its central location, it is easily accessible to the daily office population as well as downtown residents. It’s central location also makes it a very desirable space for community events such as concerts, Farmer’s markets and lunch dining. A large outdoor amphitheatre space was created to accommodate large gatherings. 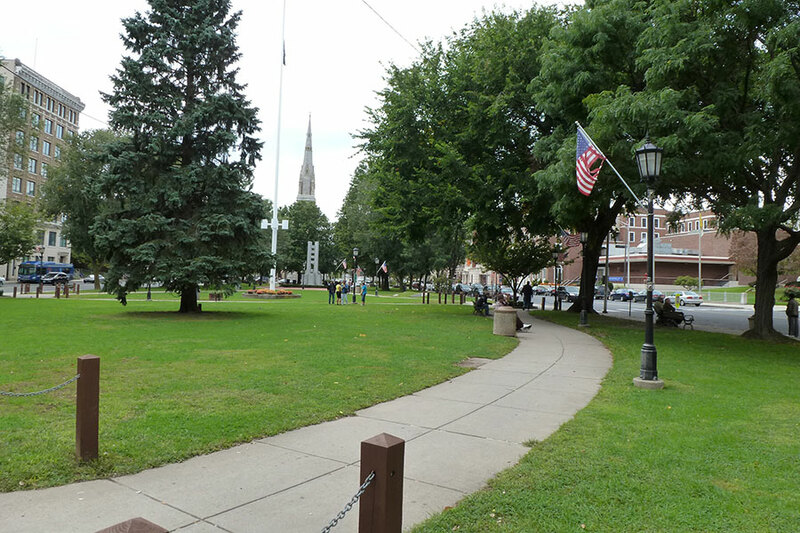 Located directly adjacent to the Green, the YMCA staff and Mattatuck Museum staff use the Green as an extension of their facilities, bringing patrons onto the Green for programmed events.